(formerly LTS) (LU/LTS) (Munich) 1987 - 1998. Photos. Framable Color Prints and Posters. Digital Sharp Images. Aviation Gifts. Slide Shows. 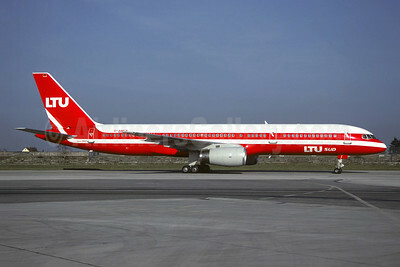 LTU Sud International Airways Boeing 757-2G5 D-AMUX (msn 23983) MUC (Christian Volpati Collection). Image: 946036. 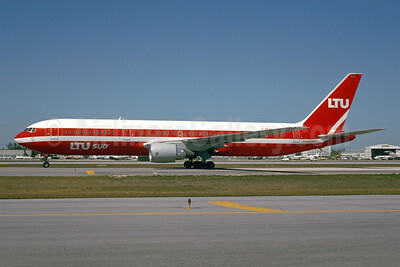 LTU Sud International Airways Boeing 767-3G5 ER D-AMUN (msn 24257) MIA (Bruce Drum). Image: 105011.